A recent study has found that the average deposit first-time buyers need to pay on a home has now risen to nearly £33,000. 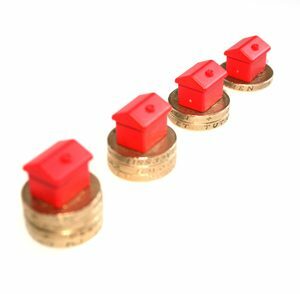 This is thanks to the average price of a first home now climbing to a record figure of £207,693. The Halifax First-Time Buyer Review discovered that almost half (47%) of all house purchases with a mortgage made during the first six months of 2017 were made by those taking their first step onto the property ladder. Those first-time buyers paid an average deposit of £32,899, approximately 16% of the price tag for the house. London first-time buyers racked up the highest average deposit of £106,577 – around three times the national average and equating to over a quarter (26%) of the average house price. Northern Ireland had the lowest average deposit for first-time buyers, who typically paid £16,457. Wales came in slightly higher at £17,193, with Scotland higher still at £21,565. Brent in London is revealed to be the least affordable area, with first-time buyers paying on average £459,499 for a home – a figure around 12.5 times the local average earnings. In contrast, Stirling in Scotland proved to be the most affordable, with an average home costing just 2.9 times local average earnings at £136,181. The report estimates the total number of first-time buyers during the first half of 2017 to be 162,704, a figure just 15% lower than at the peak of the most recent housing boom in 2006. The number is likely to be a result of low mortgage rates coupled with the Help to Buy scheme and others designed to help people onto the property ladder. Since 2013, the first year the Halifax carried out its First-Time Buyer Review, the proportion of first-time buyers has grown from 44%. The study also suggests that many first-time buyers are opting for lengthier mortgage loans to help them afford high house prices. The percentage of first-time buyers opting for a mortgage term of between 25 and 35 years has risen from 38% in 2007 to 56% in 2016.